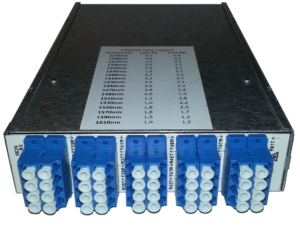 Wavelength division multiplexing is used for sending more than one signal in the same fiber. There are many different versions. But crudely they may be divided up into 2 major types. 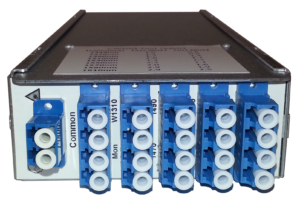 The Coarse Wide Division Multiplexing (CWDM) and the Dense Wide Division Multiplexing (DWDM). Swelaser AB have for many years helped companies in their strategies how to design fiber optical nets and how to choose beten different types. One of the most important choices is the topology. 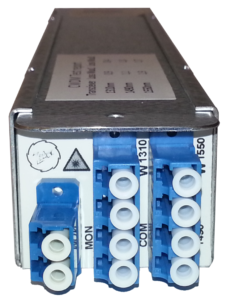 That means do the net should be a ring formation or a bus net or point to point… In short Swelaser can help you to choose among different optical passive products.